Earlier this summer, DreamWorks brought the first part of Dragons: Race to the Edge to our favorite binge-watching platform, Netflix. But that’s not all DreamWorks will add to its television repertoire. 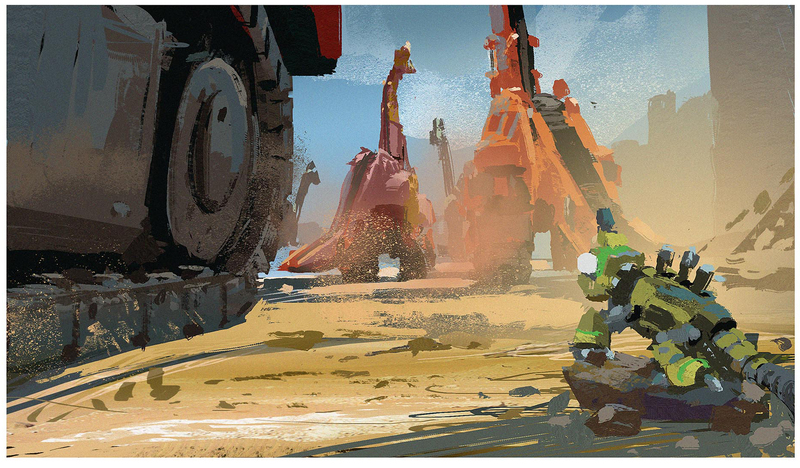 For the first time ever, DreamWorks will release an entirely original series, Dinotrux, based on the children’s books by Chris Gall. 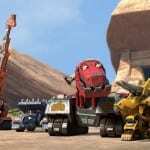 Dinotrux takes the audience to the ‘Mechazoic’ era, where dinosaurs are part construction vehicle and reptiles are part tool. 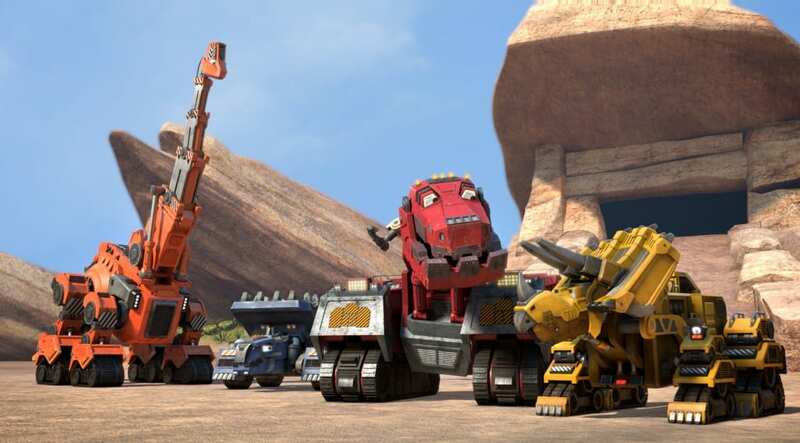 The series follows the adventures of Ty (Andrew Francis), a Tyrannosaurus Trux; Ton-Ton (Matt Hill), an Anklyodump; Skya (Ashleigh Bell), a Craneosaur; Dozer (Brian Drummond), a Dozeratops; Garby (Trevor Devall), a Stegarbasaurus; and Revvit (Richard Ian Cox), a Rotilian Reptool, as they learn important lessons and contend with neighborhood bully, D-Structs (Paul Dobson), another T. Trux. Each dinosaur is mixed with some sort of construction vehicle. Dozer is a Triceratops mixed with a bulldozer, while Ton-Ton is an Ankylosaurus mixed with a dump truck. On the other hand, the much smaller Reptools are all small reptiles mixed with recognizable tools; Revvit is a chameleon mixed with an electric drill and Tortools, which appear later in the series, are tortoises crossed with multiple hand tools and even feature spray paint. 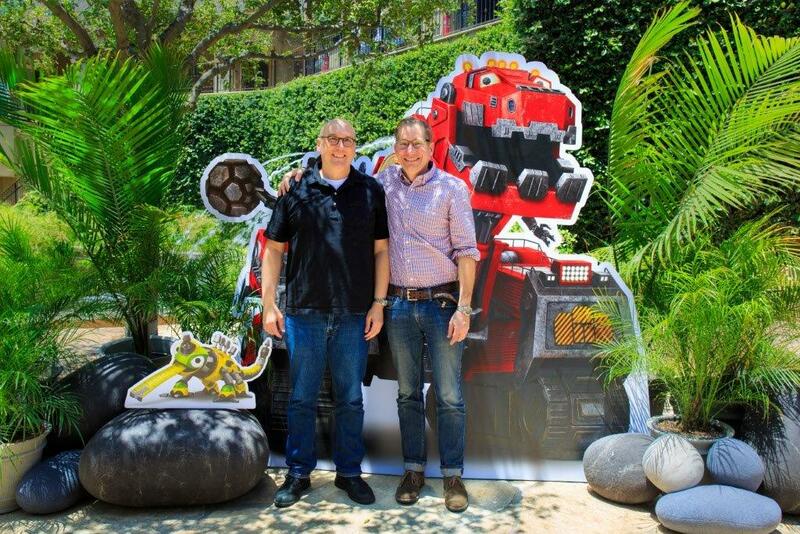 Randy Dormans, one of the supervising producers, is currently involved in seven shows at DreamWorks but admits that Dinotrux is one of his favorites. The opportunity to create a new world not anchored by a previous feature film is popular with both creators and audience. 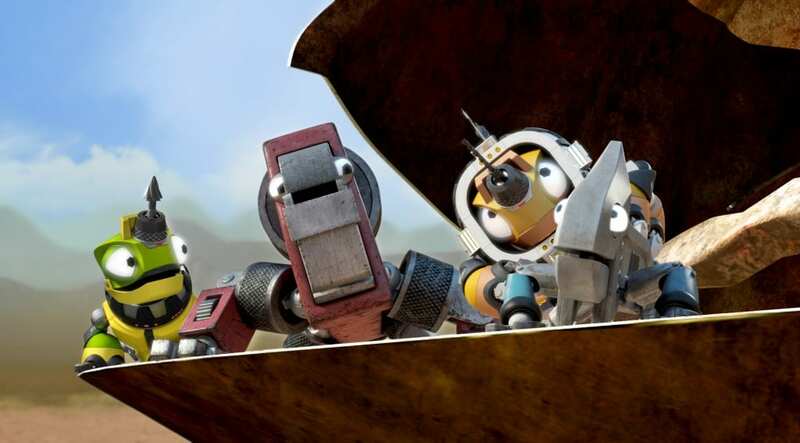 Although the general concept of the show is based on a children’s book, the creators of Dinotrux were able to mold it to their own creative design and story. What results is a team of awesomely creative and incredibly well-thought-out characters. Ty Rux is forced from his home by a massive volcano eruption, which leaves one of his legs badly damaged. 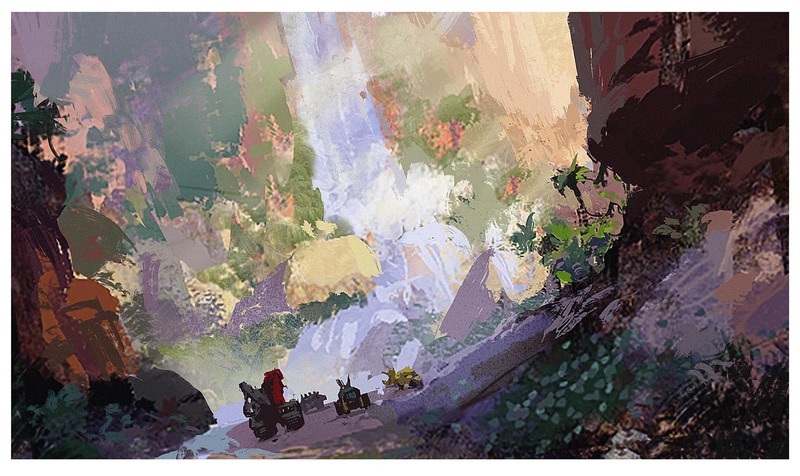 He makes his way into the unknown, and comes upon a massive and seemingly idyllic crater. Before he gets to comfortable, the territorial D-Structs gives him a warning not to stay as it is his crater. Ty chooses to ignore the bully for now, and searches for ore, the food of choice for most Dinotrux and Reptools, whereupon he meets Revvit. Despite a little bit of reluctance on Revvit’s side, the two become friends after Revvit repairs Ty’s injuries. Together, the unlikely duo unite a team of Dinotrux to face off against the bully D-Structs. Revvit returns to the ravine, where Reptools live in safety and seclusion, to find his friends and bring them to the outside world. Despite Revvit’s constant reassurances that they will be safe, the Reptools are quickly kidnapped by Scrapadactyls who take them to their nest on a tower of rocks. 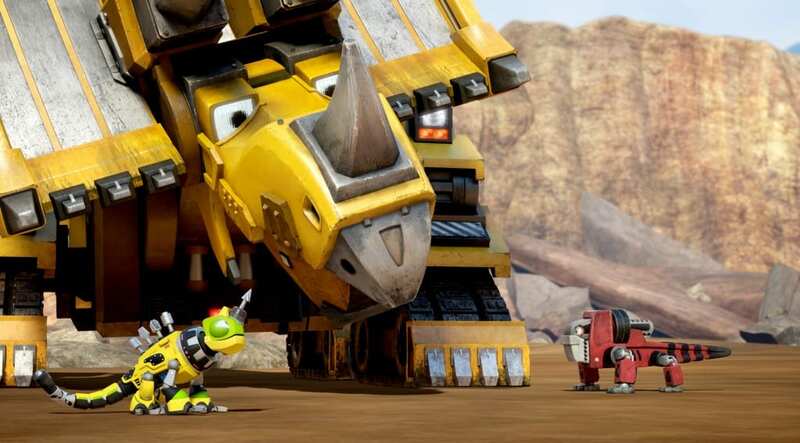 It’s up to the Dinotrux, with a little bit of help tossed down by Revvit, to save the Scrapadactyls and prove to the Reptools that they can be safe outside of the ravine. In conjunction with the show, a Dinotrux iOS and Android app will be released, which will feature the team of main characters. Users will be able to both care for and play as their favorite character through various activities, including battling the notorious D-Structs. The app will be free and will consistently deliver new content, such as additional ‘skins’ for characters (in case kids want to be a polka dot dinosaur/construction vehicle). 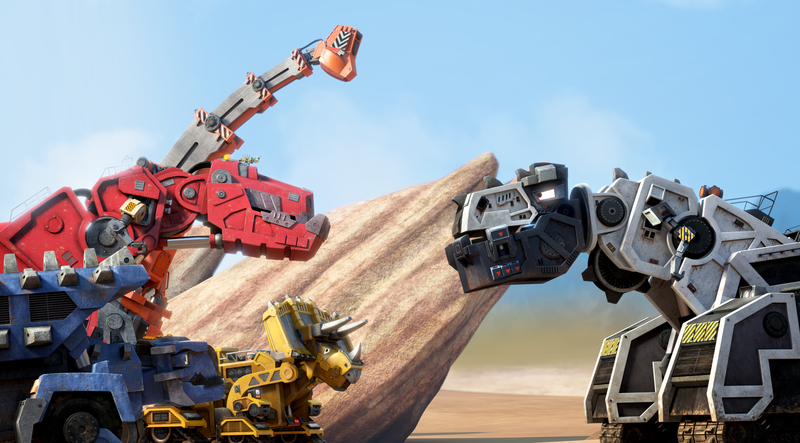 For more videos, character bios, and fun activities, check out the Dinotrux website! What do you think about DreamWorks’ first television series not based on one of its films? Will you watch Dinotrux on Netflix?